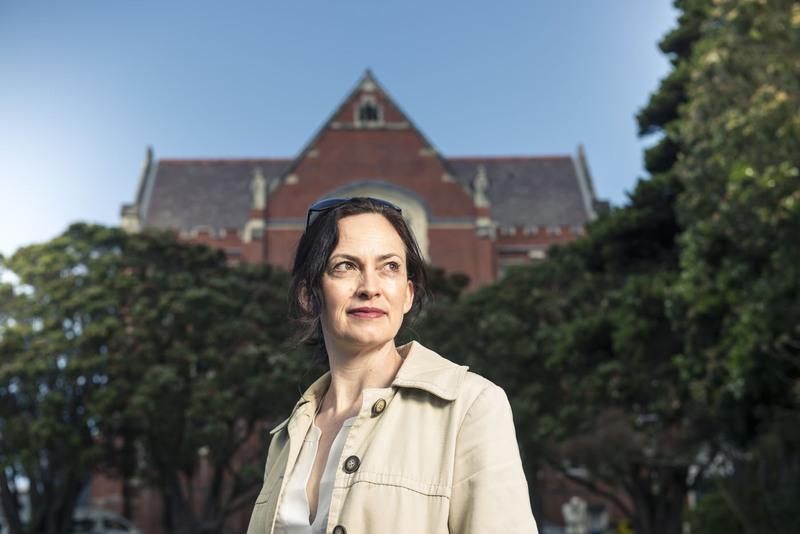 Associate Professor Rebecca Priestley from Victoria University of Wellington’s Science in Society group has been announced as a Companion by the Royal Society Te Apārangi recognising outstanding leadership or sustained contributions to promoting and advancing science, technology or the humanities in New Zealand. Rebecca was elected as a Companion for her work in advancing New Zealanders’ understanding of science. She has worked for more than 25 years to communicate about science issues to the New Zealand public. After an extensive career in science communication, Rebecca co-founded (with Dr Rhian Salmon) the Science in Society group at Victoria University of Wellington, where she teaches and researches topics in science communication and history of science. She also teaches creative science writing at the University’s International Institute of Modern Letters. Some of Rebecca’s previous awards include the Royal Society Te Apārangi Science Book Prize and the Prime Minister’s Science Communication Prize, which she used to establish the Aotearoa-New Zealand Science Journalism Fund to support quality science journalism projects in New Zealand. Over a weekend early in the first trimester of this year, Science in Society staff and masters students took a trip to Lake Ferry and Kohunui Marae in the southern Wairarapa. The focus of the wānanga was ‘freshwater’—the science and culture of it, and of course, given the public debates about the water quality of Aotearoa’s rivers – the politics of it. I suppose we all knew or guessed that water quality was an issue in the South Wairarapa, as it is in many parts of the country. But I don’t think many of us knew quite what kind of landscape, and what kind of history, we were entering. There it was, in the midst of the dry landscape: water. It was in the Tauherenikau and Ruamahanga rivers and their tributaries as we crossed them, and there sloshing up against the shores of Lake Onoke as we approached Lake Ferry campground for our first night’s stay. In the morning Raihania Tipoki, who was hosting us and had collaborated with our colleague Pauline Harris in organising the wānanga, told us about the area. Here, ‘water quality issues’ are just part of a much longer story, and are written into everything about the landscape. There are the usual problems, of course: dairy farmers tapping groundwater for irrigation; farm runoff polluting streams. Lake Wairarapa is supertrophic—of ‘very poor’ water quality, according to Land Air and Water Aotearoa—and Lake Onoke is not much better. But, as Raihania explained to us, these issues are only one recent part of a history that goes back to the late 19th Century. Wairarapa Moana, the interconnected area of waterways and wetlands that includes the two lakes, was a much larger single lake prior to that time. It was an aquatic environment central to the material and spiritual lives of local Māori. In 1888, after years of passive resistance by the tangata whenua, the sandbar at the ocean’s edge was dug out and the lake drained to ease the flooding of farmland. The landscape as it exists now—flat pasture framed by the ranges to the east and west—is a creation of that past, a drained and managed environment. If the mouth of the lake weren’t regularly opened again, it would eventually flood back to its historic levels. We were welcomed onto Kohunui Marae, where we spent the day listening to talks from scientists, local activists and whanau. Hearing about science in that context—on the marae, alongside other ways of talking about water—made it into just one part of that longer, bigger and deeper story, a complicated story about a living thing turned into a resource, drained and polluted and managed. We had intended this to be a bonding time and an icebreaker for students, and a time to practice thinking about a particular science issue in its social context. It was all those things, but it was more, and left many of us feeling like we now had a lasting connection with that place. Breaking the mould yet again, Rebecca Priestley and Rhian Salmon were joint winners of the Early Career Teaching Excellence Award, an honour that is usually awarded to a single recipient. Rhian and Rebecca, who co-lead the Science in Society group, have, since they started working together in 2013, developed a suite of courses, including an undergraduate minor in Science in Society and a Master in Science in Society. As a complement to their many undergraduate online courses, they have also been closely involved in the development and delivery of the university’s first massive open online courses (MOOC) – Antarctica: From Geology to Human History delivered through the edX platform last year. 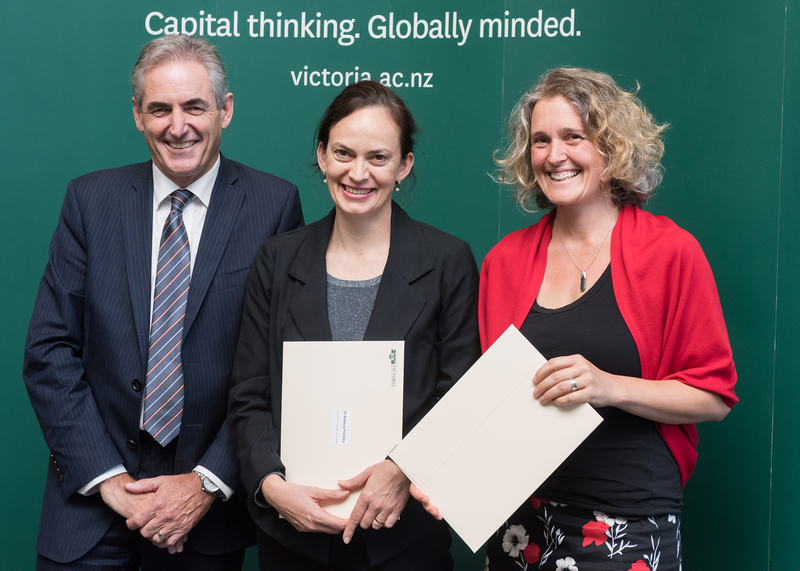 At Victoria University of Wellington’s recent teaching and research awards evening, the duo were recognised for developing an excellent teaching programme in a only a handful of years. Speaking at the ceremony, Vice-Chancellor Professor Grant Guilford said that the awards were a chance to recognise the University’s most engaged and hardworking people. engaging with students on discussion forums for a series of online courses about Antarctica. some teaching or tutoring experience. This is an exciting short term opportunity for a high performing individual/s. In the first instance please email Lorraine.Taylor@vuw.ac.nz by Monday 12 March to indicate your interest in these opportunities and outline how, and in which areas, you think you could contribute. This summer the Science in Society Group added a new module on going to Mars as part of their ‘Science in Everyday Life’ course. Tim Corballis found himself in charge of the mission. He reflects on the experience here. NASA, Elon Musk, Donald Trump. They all want to go to Mars – or at least send other people there. Jeff Bezos from Amazon too, and countless other tech entrepreneurs and enthusiasts, people with money and lots more without. They all seem drawn to the allure, the image of the red planet, the fantasy of setting foot on its soil. For the last module of our first year summer course ‘Science in Everyday Life’ we decided to follow them there – or at least least try to work out how to get there, why to go there, and what it might be like if we do. To be sure, going to Mars might not be what you’d call ‘everyday life’. The bus doesn’t go, and if it does finally start up you won’t be able to afford it. But, then, perhaps, that was the point of putting Mars right there in amongst the (other) scientific issues of concern for us here and now. On the one hand, maybe, it can give us a perspective on our own planet to think about it from an external point of view. On the other – well, is Mars really so far away? Hasn’t it been with us for years? For centuries? For many civilisations and cultures, Mars, like the other objects in the sky, was and is something very much part of everyday life. People had, and have, relationships with celestial objects. Their movements around the sky – regular and erratic – would reflect our own movements in the world. They would be like gods, and they would tell us about ourselves. Or perhaps they would be used to navigate or to tell the seasons. They were and are the clocks and compasses for many many people. So, when I was reading and talking to people about the new module, I became interested in is how these celestial companions and tools became something else. How they were taken out of our world to become worlds in their own right. I came across this story often: in the opening pages of Kim Stanley Robinson’s Mars Trilogy, in Carl Sagan’s 1980 television series Cosmos, and in anthropologist Lisa Messeri’s book Placing Outer Space (send my way by a colleague from Victoria’s School of Social and Cultural Studies, Nayantara Sheoran Appleton). The story of how Mars became a place – for a few of us, then many of us, over the last 2000 or so years. It’s a story that involved orreries and telescopes and maps and spaceships – unmanned – that have orbited, landed and sent back images, all of which transformed Mars from a point in the sky into a landscape. Pauline Harris from our group, and Elf Eldridge from Engineering, gave a lectures on the physics and technology of Mars – where it is, what it is, how to get a spaceship there, what efforts are currently underway. People would have to cope with an 8 month trip, with the problems of getting along in cramped conditions, with landing safely, and with the temperature and low air pressure – Mars is cold and doesn’t have much of an atmosphere. What is more, the planet doesn’t have much of a magnetic field either to deflect solar radiation, so life might well have to be lived largely underground or inside other shielding structures. It won’t be a holiday. Pauline also brought another perspective. If I was beginning to wonder if the desire to go to Mars is just all another great colonial enterprise – science in the aid of conquest, like the 19th century all over again – Pauline was imagining different voyages. Not the colonial ships of empire, but the oceangoing waka that are right now navigating the Pacific and the coast of Aotearoa. 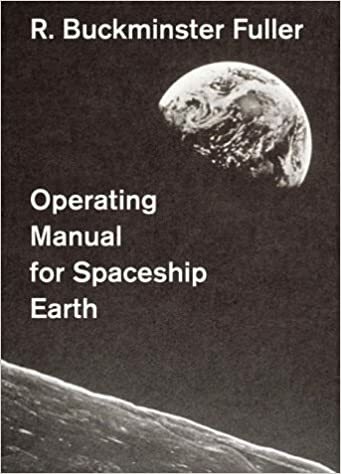 Space starts to seem like the great ocean, and all the skills and attitudes of the waka voyagers – preparation, navigation, coping with all that time at sea, kaitiakitanga towards what they encounter – become of use for the next voyage to other planets. Haunui Waka. Taken at the Festival of Sail, 2011 in San Diego, California by Michael R Perry. Courtesy Wikimedia commons. What was the upshot of all this? I hope students will make up their own minds, but I came away wondering whether, despite all the promises, the trip to Mars was possible and what it might mean for us. If it happens, it seems clear to me that it should be done with great care, not only for us but for Mars itself, and not with any cowboy attitude. But I also wondered if the idea is something that most importantly puts our own life on Earth in a different light. The tiny spaceship in the middle of nowhere, having to survive in the midst of radiation and nothingness; the struggle for life on a hostile planet – they seem to tell us, like all that old Buckminster Fuller stuff about ‘spaceship Earth’, something about the precarious and easily forgotten balance of our own lives, huddled inside our thin atmosphere, under the umbrella of the Earth’s magnetic field, and not heading anywhere else in a hurry. For more information check out SCIS 101:Science in everyday life. Professor James Renwick and Dr Rhian Salmon will be expanding on the themes of this article in ‘Climate change: What’s coming our way?’, 11.30am–12.30pm, Thursday 15 February, Lecture Theatre 2, Government Buildings, Pipitea Campus, 55 Lambton Quay, as part of Victoria University of Wellington’s free Spotlight Lecture Series. Register here. about where we can live, where and what we grow and farm, and how we operate as a society and a culture. How is this happening and what can we do about it? The earth’s climate is governed by a balance between the amount of energy coming in and the amount going out. All that energy comes originally from the sun, so the brightness of the sun is one of the key factors in defining the climate, but not the only one. The other key one is the composition of the air, the atmosphere. Because the earth is warmed by the sun, it radiates heat energy back to space. Some of the gases in the air are really good at soaking up heat the earth radiates, then sending some of it back down to keep us warmer – just like a duvet is good at soaking up our body heat, keeping us warmer in bed. The thicker the duvet, the warmer we are; the more of those “greenhouse” gases in the air, the warmer we all are. Humans have become really good at putting greenhouse gases in the air since we discovered the potential of coal and oil to power our lives. This would all be fine if what goes up comes down again quickly. Some greenhouse gases are like that, but carbon dioxide isn’t. It stays in the air for centuries and builds up over time. Since we started burning coal, the amount of carbon dioxide in the air has gone up over 40 percent, a change the earth alone might take a million years to achieve. So the world is getting warmer, and the cold bits are melting. Right now is the warmest the world has been for more than 1000 years. Hot days are more common and extreme floods are happening more often (since warmer air contains more moisture). Two degrees of warming would see a tripling of the number of droughts and wildfires in the already-dry eastern parts of New Zealand, as well as big increases in the occurrence and severity of floods. The Fox and Franz Josef glaciers would be only stories to our grandchildren. For the first time in thousands of years, the oceans are rising. Less than 30cm so far, but we’ll see that much again in the next 40 years when we could be in for a lot more. If warming goes much beyond two degrees, we’ll likely see large parts of the Antarctic and Greenland ice sheets melt away, with 10m or more of sea level rise over centuries, enough to inundate millions of people and to change coastlines around the world. That’s why the Paris Agreement on climate is so important, getting the world on track to keep warming well below two degrees. How do we do it? By stopping our release of greenhouse gases. How soon do we have to stop emitting? Soon. At present rates, within 20 years the world will have added enough carbon dioxide to reach two degrees of warming. Getting on a downward path no later than 2020 and getting to zero around 2050 or soon after is what we need to do. A big ask, but it can be done. Every country needs to get to zero emissions, including New Zealand, where emissions per capita are in the top 10 globally. As individuals, we can make more use of our public transport networks, reduce the amount we throw away, and move to low-energy light bulbs, among many other things. As a nation, we can promote electric vehicles, get to 100 percent renewable electricity, boost public transport, find lower-carbon farming solutions and invest in green technology. In order to achieve these goals, we also have to develop – and practise – ways of exploring how the changing climate is going to impact our lives, sectors and communities. As well as learning about what’s coming our way, we have to identify how we can change our lives and the way we live – including the systems and rules that run this country – so a sustainable future is both achievable and something to look forward to. We could be global leaders – if any country can do it, surely New Zealand can. Waikato, James is an environmental historian whose research focuses on the Asia-Pacific region and examines the nexus between environmental history, history of science, landscape and garden history, and health history. In addition, James works on Chinese art collecting in New Zealand. Published by Canterbury University Press, New China Eye Witness provides insight into the diplomacy involved in obtaining Aotearoa New Zealand’s most extensive collection of Chinese art, and provides a fascinating account of the 1956 visit to the People’s Republic of China by a group of prominent New Zealanders. Among them was Canterbury Museum’s Director Dr Roger Duff, whose diary details efforts to secure a collection of antiquities gifted to the museum by long-time China resident, Aotearoa New Zealand–born writer Rewi Alley. Through Alley’s connections with the highest levels of China’s communist leadership, including Chairman Mao, combined with Dr Duff’s diplomatic skills, they obtained the sanction of the Chinese government to circumvent its own export ban on antiquities. This permitted the gifting of seven crates of treasures that formed the basis for the museum’s Rewi Alley Collection of around 1,400 Chinese artifacts. “Roger Duff’s detailed and highly readable diary, enhanced by extracts from others on the delegation, provides a remarkable eyewitness account of a rapidly developing China, at a unique time and unprecedented moment in its history,” says co-editor Dr Richard Bullen, Head of the Art History and Theory Department at the University of Canterbury.